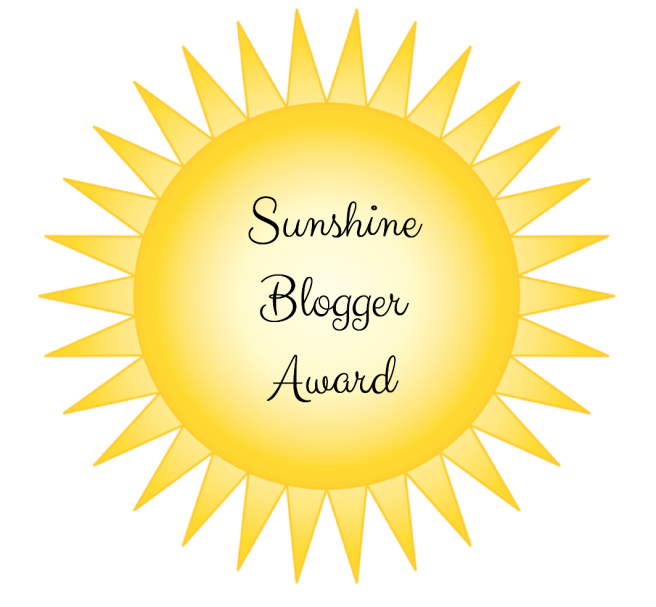 At the beginning of September, Anna from Defiant Success nominated me for a Sunshine Blogger Award. A special event for The Wonderful World of Cinema as it is its first one. Before going further, I would like very much to thank Defiant Success for this nomination! The Sunshine Blogger Award works pretty much the same way as the Liebster Award. After thanking the blog who nominated me, I have to answer its 11 questions, nominate 11 other blogs and ask them 11 other questions. Luckily, I don’t have to say 11 things about me! I will go with two French-Canadian TV shows as they are quite popular in Quebec, but not in the rest of the world: Infoman and La Galère (well, this one is finished now, unfortunately). A movie about the Mitford sisters would be GREAT! I’ve read a lot about them recently because of my friend author Lyndsy Spence who wrote two books about them. But if I had to choose only one of the girls, it would be Jessica. I loved her autobiography “Hons and Rebels”. Who would I choose to cast her? Hum, I honestly don’t know. 4. Any movie(s) you’re looking forward to? The future biobic about me! No, seriously, I would say Toy Story 4! Well, I’ve never attended film festivals such as the TCM film festival, but small ones hosted by the Cinematheque Québécoise or the Cinema du Parc in Montreal. Like a mini Hitchcock Festival or a mini Grace Kelly festival. Harry Potter (the whole series). Not a very original choice, I know, but I just love these books and have read them like five times each, maybe more for some of them. I also love Daphné du Maurier’s Rebecca. 8. Star Wars or Star Treck? None of them. I’ve only seen the first Star Wars so I can’t really make a choice. Oh, both. Once again it depends on the movie. I like The Wild Bunch better than Out of the Past, but I like Sunset Boulevard better than Vera Cruz. My favourite western is a Noir Western: High Noon 😉 I think it’s a good compromise lol. Well, this time I have to choose because I like musicals much more than sci-fi. However, in the past year I’ve discover some sci-fi movies that I really liked such as Invasion of the Body Snatchers and The Day the Earth Stood Still (the 50s rocked). Comedy, because I love to laugh and forget about my problems. But I enjoy many good dramas too! Here are the blogs I nominate. Congrats to you all! And here are your 11 questions! Except for the USA… which country do you think makes the most interesting and worthy movies? 2. If your life had to be like a movie, which movie would you choose? 3. Which movie star inspires you the most? It doesn’t necessarily have to be your favourite. 4. What is your favourite catastrophe movie of the 70s (the golden decade of catastrophe movies)? 5. To you, who is the most iconic actress of all times and the most iconic actor of all times? 6. Is there a book you would like to see a movie adaptation of? Who would star in it? 7. You think Audrey Hepburn made her best movies with Billy Wilder, William Wyler or Stanley Donen? I chose the movie directors with whom she made more than just one film. 8. If you had the chance to own all the costumes of one movie, which one would it be? 9. What do you think was the prettiest Oscar dress? 11. If you could go back in time, what would you change from the movie history? But you can choose only ONE thing (it can be a movie ending you didn’t like, prevent the premature death of one of your favourite actors, choose another actress for Scarlett O’Hara, anything!) I know, hard choice. Congrats on your well-deserved award, Virginie! Thanks to your answers, we readers now feel like we know you a bit better. Thanks for the nomination! I will have to give your thought-provoking questions some thought, but I will tag this post when I respond.